You'd think that warm climes would equate to cooling food but it is quite the opposite. When in Asia, we eat hot food even in the sweltering heat. It was love at first taste the moment I tried beef rendang. 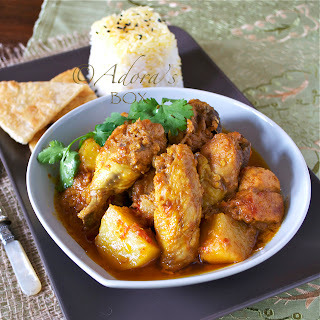 It is a Malaysian stew that is spicy and aromatic yet with a fresh twist. 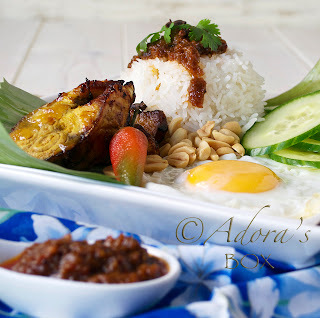 If there is one dish that would resonate the Malay culture, in my opinion, this is it. It is so vibrant in colour, flavour and aroma. I always see beef rendang cooked in travel shows (as well as cooking shows) and it almost seem to be regarded as a national treasure and rightfully so. It is reputed to be the best dish in the world and that probably is not an understatement. I have tried a few beef rending recipes without success until I luckily found THE one. 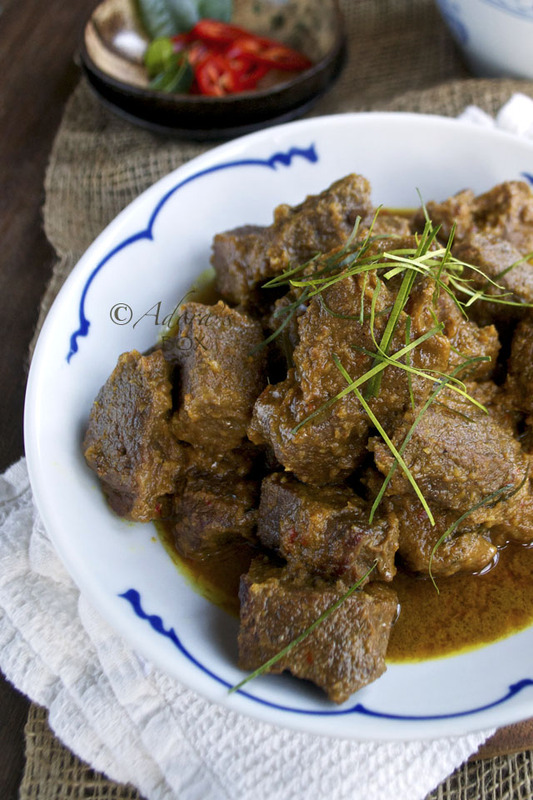 Rasa Malaysia's beef rendang recipe is the one for me because it is straightforward, easy and most importantly it resulted to the taste that I like even if I substituted some of the ingredients. I have adapted this recipe to my taste and this is really it for me. Although this dish is Asian to the core, it is perfect for eating on the opposite side of the globe. When it's cold, damp and grey, hot and spicy beef rendang on steamed rice is like manna from heaven. Crack the pods of the cardamom and take the seeds out. Discard the pods. Peel the tough outer covering of the lemongrass stalks and roughly chop. Pound into a paste with the cardamom seeds using a mortar and pestle. Puree together with the rest of the ingredients in a blender. Put the cooking oil in a heavy pot. Add in the spice paste and 1 tsp. salt. Fry until the mixture is soft and separates from the oil (this will take about 15-20 minutes). Add in the cinnamon stick, cloves, star anise, turmeric powder and the cubed beef. Fry on high heat until the meat is sealed and the mixture is dry. Add the lemongrass, coconut milk, water and tamarind or lime juice. Bring to a boil. Simmer until nearly tender, 1 1/2 to 2 hours. Toast the dessicated on low heat in a dry pan while the beef is simmering. It is ready when it is medium brown in colour. Add the kaffir lime leaves (or lime zest), toasted coconut, sugar and fish sauce. Simmer until the meat is very tender and the gravy is thick. You can serve it like this or cook further if you like it dry. Wow, you cooked one of our country special dish. 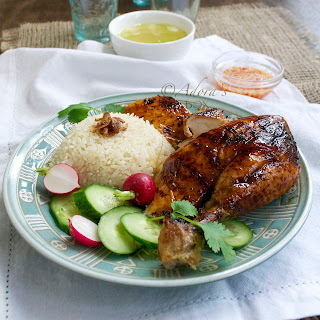 This dish is a must for our Muslim when they celebrate their Aidil Fitri festival. 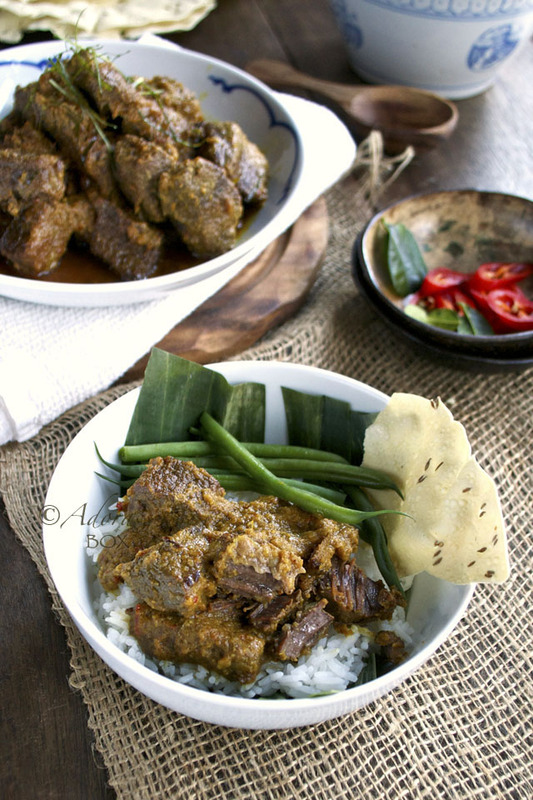 I will try to cook beef rendang one day. Some people pound the toasted dessicated coconut to release some oil out to give it more aroma. 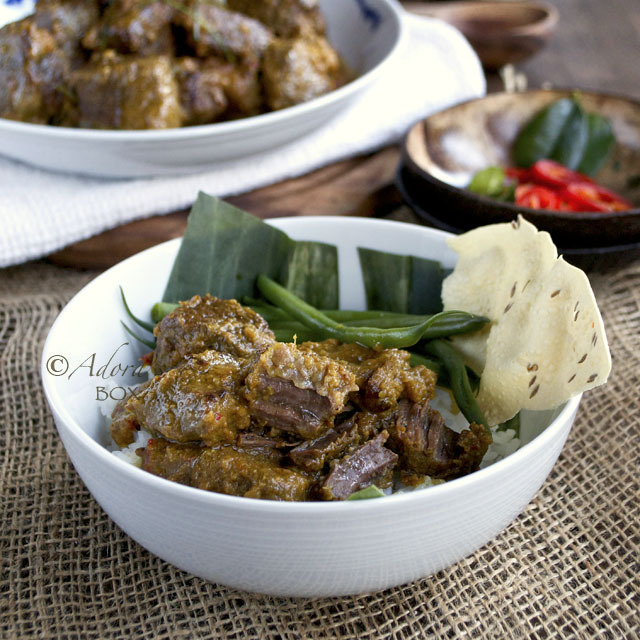 Beef rendang is one of my favourite Malay dishes and a must-order when I patronise any Nasi Padang stall here! 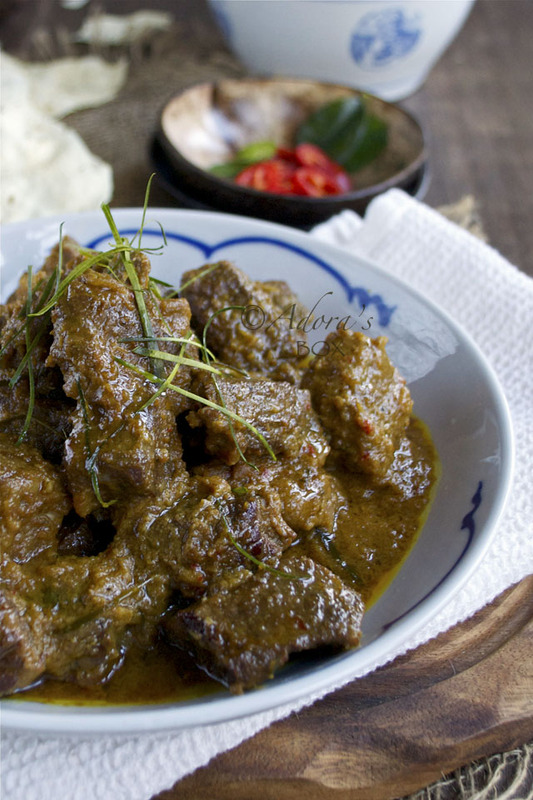 Rendang is a spicy meat dish which originated from the Minangkabau ethnic group of Indonesia.